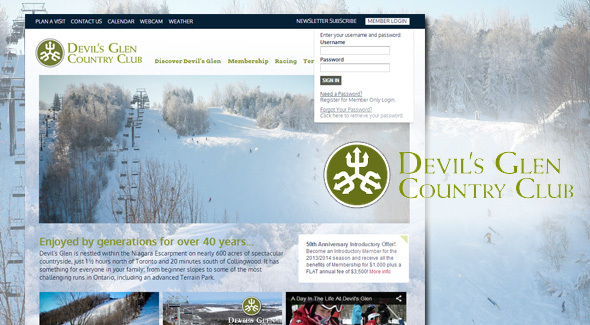 The Devil’s Glen Country Club web site has had a facelift for the 2014 season. The site is the central hub of Club’s management and member services. The backend administrative interface handles all event management, program registrations, member management and email communications. The content management tools developed by eCrew have helped to extend the uses of a Club web site beyond snow reporting and marketing information, and bring the Club heightened administrative efficiency.